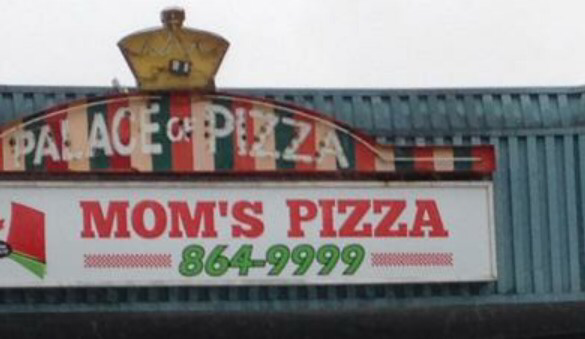 Sackvegas Pizza Saga Continues: Mom’s Pizza Is Closed | Sack-Vegas!!!! Well, looks like another pizza shop has come and gone. Mom’s is now in darkness. This is two in the last couple months with Papa Mario’s closing a while back. seem to just come and go. I’ll have to take a look and see how many we are down to now. If anyone else decides to set up I strongly suggest they bring something a little different to the table – maybe whole slices of green pepper and actual bacon again! I have had conversations with a few biz ppl and won’t be surprised if something else pops up in the near future, we’ll just have to wait and see. Anyway, best of luck to “Mom” and I tip my cap to you for giving it a whirl here. Posted by Sacky on June 1, 2015 in Uncategorized. Always sad to see stores closing in Sackville. However went to Lebanese restaurant Mezza, where the food was great and it was busy too! Maybe people in Sackvegas are ready for some new food ideas!? I find Pizzatown on Cobiquid has the best slice deal going right now, HUGE 1/4 slice, always fresh, a slice of Garlic Finger, and a bottle of pop for $5.85 all in. Clean spot too…..my go to when I’m in Sack-Vegas for lunch.